When notes won't play it's almost always due to air leaks. Those white pads under the keys are supposed to seal the air from the tone holes. 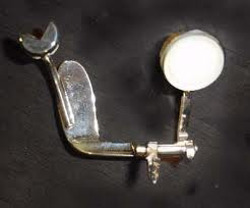 If a pad doesn't seal well, the clarinetist has to blow harder or squeeze the key until it seals. If a leak is big enough, the note won't play at all. Sometimes leaks are due to keys being bent out of position; when that's the case, the technician can usually make some quick adjustments and fix it. When keys are stuck they occasionally have frozen pivot screws or rods, but usually they've just been bent out of position. The technician realigns them to move freely. In most cases he'll also need to replace their pads because their seats will no longer match their tone holes. 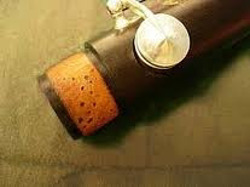 A good clarinet that is repaired properly should play as well as it did when it was new. And a good clarinet that is maintained correctly should last a lifetime. 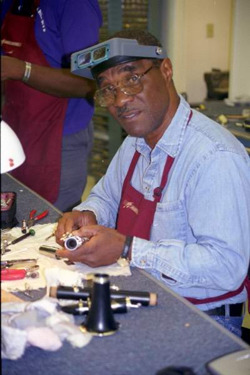 Amro repairs thousands of clarinets per year for clarinet students, amateur musicians, and professional clarinetists. Amro technicians can play-test your clarinet, explain what it needs, and give you an estimate to bring it back to good playing condition. And they can typically finish the repairs in just a few days. You can meet your clarinet technician, discuss the problem, and often they can fix it while you wait. Bring your clarinet by and we'll check it for you at no charge and no obligation. 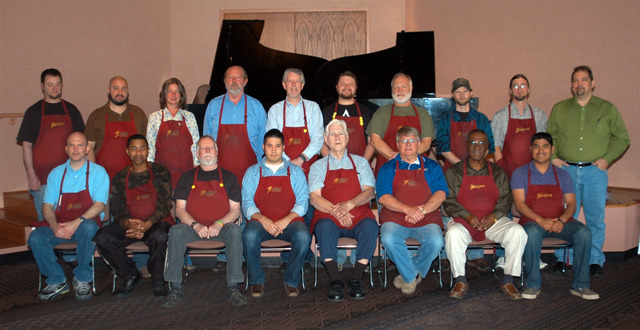 Do you have questions for our clarinet repair technicians? Give them a call at (901) 323-8888 or send them a message here.